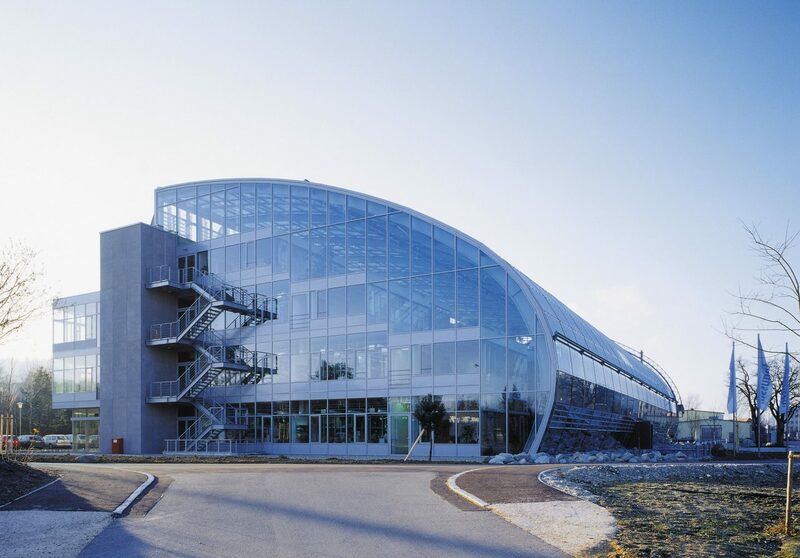 A very special laboratory building: the administration and laboratory wing is entirely spanned by a glass house. On the roofs of the building, designed in a terraced style, natural gardens are planted as a landscape of cacti. Curved beams, up to 165 feet long and with varying radii, are positioned in arches above the building as the primary supporting structure. 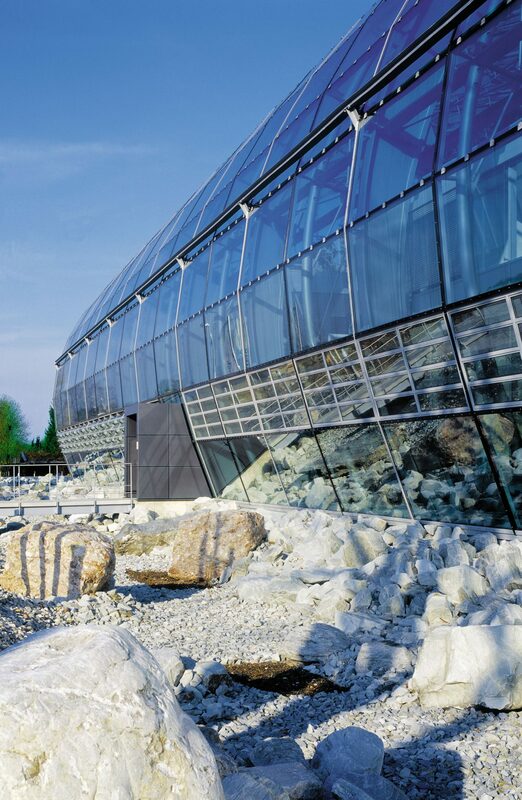 They carry the horizontally arranged glass superstructure profiles. These are fitted with double insulating glazing. 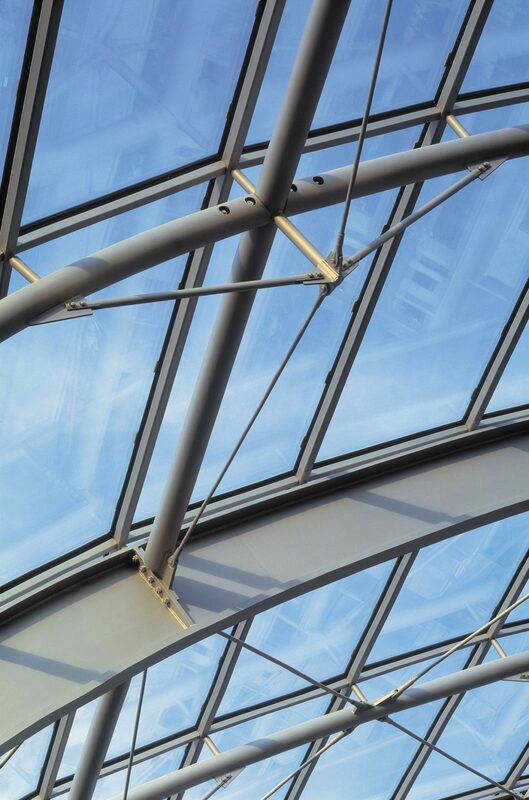 Specially designed glass louvers are arranged on both sides of the glass shell in order to ensure efficient cross-ventilation.